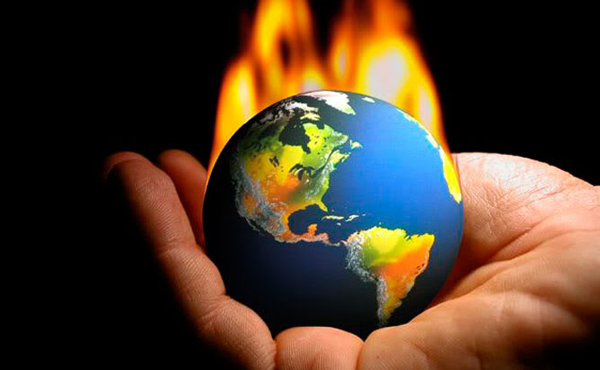 My latest Townhall column is called, 5 Reasons It’s Dumb To Panic Over Global Warming. Here’s an excerpt from the column. The liberal hysteria over global warming is hard for normal people to comprehend. Leftists don’t worry about deficits or about terrorists who are looking for any way to kill Americans. They don’t care about the health care costs they drove into the stratosphere, the way teachers’ unions have ruined public education, or the out-of-control growth of the federal government that takes more of our money and freedom every day. However, the possibility of global warming 100 years from now freaks them the hell out. Then the rest of us get treated to people — who don’t know anything about global warming other than “I heard it is scientific consensus” and “What about the polar bears?” — screaming about how the rest of us are wrecking the planet. …So you can see that much of the claims of ‘global record heat’ hinge on interpolating the Arctic temperature data where there is none. …As for the Continental USA, which has fantastically dense thermometer coverage as seen above, we were not even close to a record year according to NOAA’s own data.